Boil 1 liter water with 1/2 tspn of oil and salt in a pan . Cook it for 5 minute. Add chopped garlic and green chilly. Add chopped vegetables and saute it well. 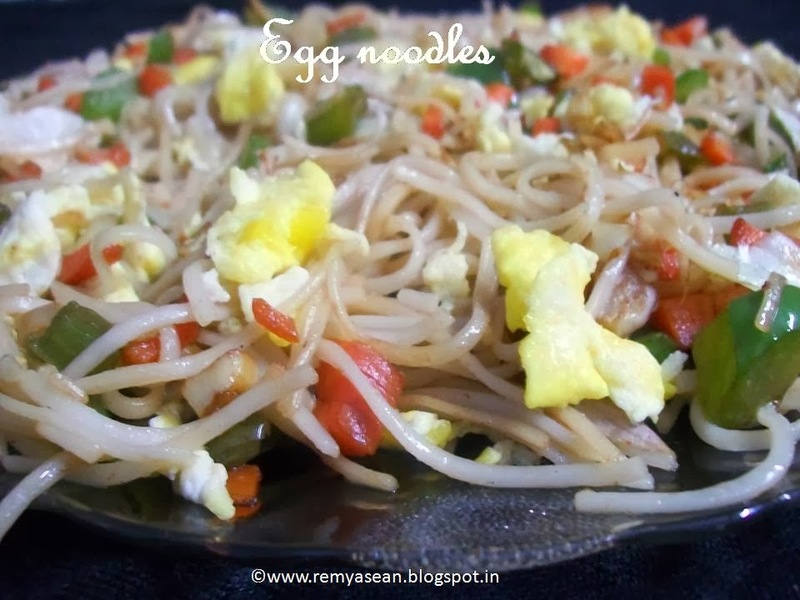 Crack the eggs to the sauteed vegetables and stir it well. Add soya sauce. Stir it well. Now add cooked noodles and toss it. Really good noodle! So colourful and looks inviting! 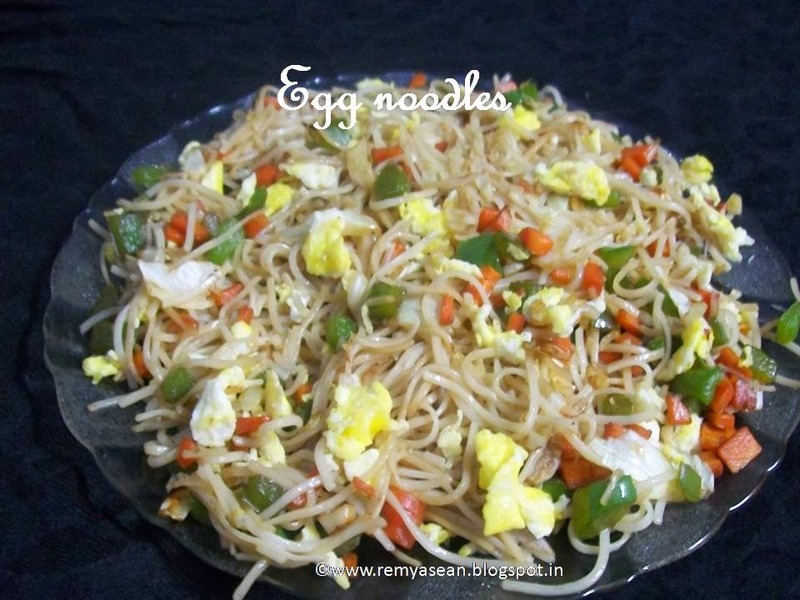 A good plate of egg noodles is always a delight!